An Operations Manager is any organisation’s Jack of all trades. They need to have the right skills, often obtained through an operations management course, as well as knowledge of multiple departments, in various functions, ensuring that each part seamlessly works together to produce a well-oiled machine in the form of operations management. Consider a clothing manufacturer. The role of the Operations Manager would include everything from managing the manufacturing of the clothes, to the shipment into stores, to the tracking systems used, to the measurement of pricing, returns and customer complaints. And with the world moving increasingly towards being globalised and automated, the need for control of business functions through operations management becomes more and more prominent. This makes the future of those wanting to move into the operations management field look promising. Not only are you a manager, you’re a repairman, an IT guy, a delivery person, a taxi driver and pretty much anything else you can imagine. To say the least, you wear a lot of hats. But with many hats, come many rewards. What are the key responsibilities of an Operations Manager? 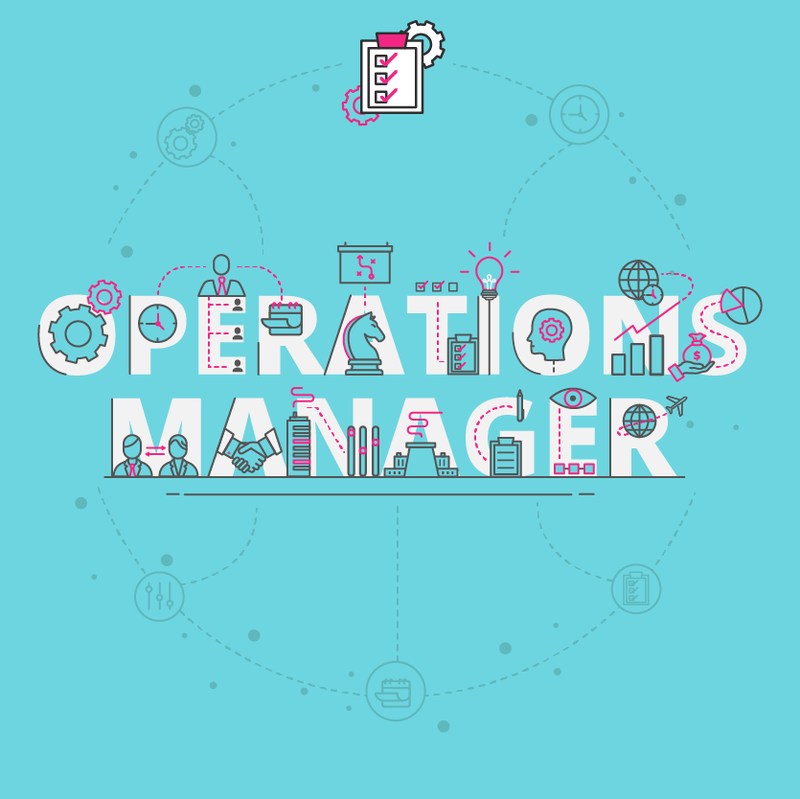 As stated above, an Operations Manager carries a lot of varied responsibilities, that will differ depending on the company and the product or service they offer. What is the career path of an Operations Manager? 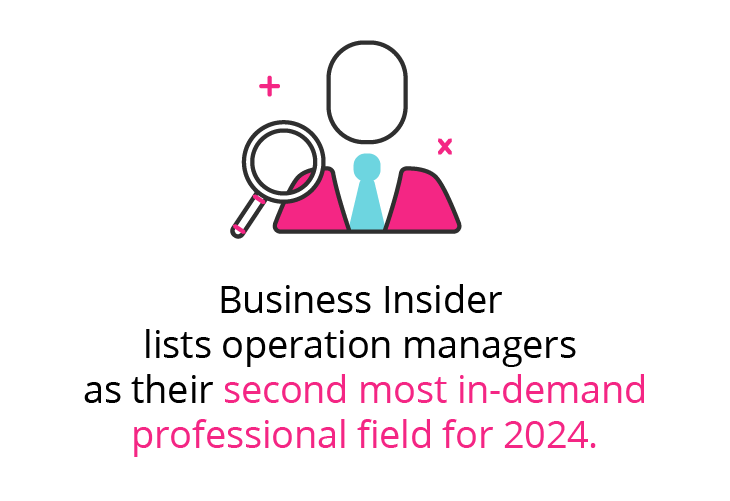 Business Insider lists operation managers as their second most in-demand professional field for 2024. 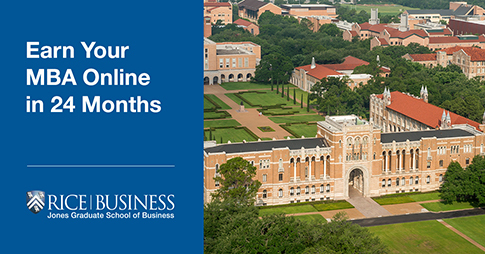 Operations management jobs are on the rise and you can fill the gap. One of the perks of the operations management field is there are jobs available in almost every industry. Whether it be retail or education, government institutions or manufacturing and service organisations, operations management is a sought-after skill set. In short, the workplace of the future means this profession is going to rise in the fields of business. If you’re aspiring for a career in this industry, you’ll need to prove yourself by being a fast learner, online savvy, adaptable to the changing rules of the workplace, and highly motivated. 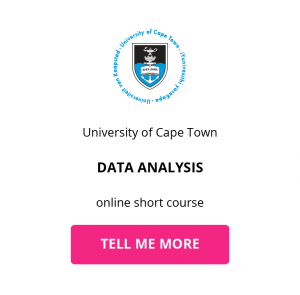 You’ll also have to show your commitment to improving your skill set by investigating operations management online courses. After gaining experience as an Operations Manager, you’ll be able to advance in your career, eventually moving into the sought-after position of a Chief of Operations (COO), one of the highest ranking executives in a company, who works alongside and reports to the Chief Executive Officer (CEO). What is the potential salary for an Operations Manager? Experience has a moderate effect on income for operations management jobs. Most people move on to higher level jobs if they have more than 20 years’ experience in the field. The skills you’ll need to advance and increase your earning potential? What are the education and training requirements for an Operations Manager? The majority of operations management positions require a four-year degree and, at the very least, some work experience. You have the option of either getting an operations management degree or a business degree, dependant on whether you want to pursue a technical or business-focused career in operations. 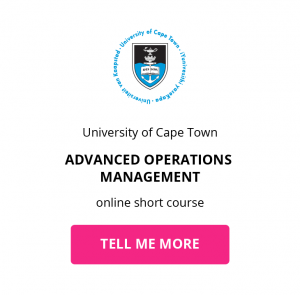 You can also investigate online operations management courses that ensure your skill set is kept up-to-date throughout your operations management career. But if you’re looking to climb the corporate ladder, most COOs have an MBA or a Ph.D. to their name. Lack of these degrees will make your rise to the top more difficult. 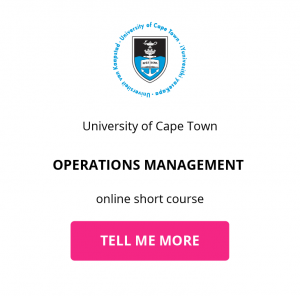 Download a course prospectus to find out how one of these online short courses can help you become a Operations Manager.